Thank you to all who submitted their screenplays to the 2018 Phoenix Film Festival Short Screenplay Competition. We are very excited to announce this year's winners! An FBI agent investigating the death of a gay Chechen refugee masters chess to extract what she needs from an informant -- and learns the true meaning of "pawn sacrifice." An old, deep, nonchalant voice resounds throughout a papier maché mock up of the universe, filled with planets and stars. Far from serious, this is a quirky, rough voiced but sentimental “God” here to tell his most upsetting tale: a great love story that never happens. A meticulous 1890s stationmaster finds a widow and her young children abandoned on his station platform. A young girl gets more than she bargains for on Halloween when things get a little too real. Four generations of Soliz men take in the sun at the water park. Two of them, Eddie and his great-grandfather, Naldo, each face an important rite of passage. A London tenant must find a new place to live or be forced to make a life-changing sacrifice. When the Queen's Steward tries to kill the newborn heir to the throne, the Royal Confectioner finds herself entangled in a plan to stop him -- but destiny comes in more than one flavor. Bobbi faces the choice between her past first love and her present fiance. Her future depends on whether she can find closure with her past. The sad final ending to one of America's first rockers: Danny Rapp abruptly ends a tour and takes his own life in a Quartzsite, Arizona motel room. Based on a true story. April 6 - 13, 2017 at the Harkins Scottsdale 101. So take off work now. Tell your friends not to get married that week. Schedule your island vacation for April 14th, because you are going to be very busy April 6 - 13, 2017. We will be back with over 175 screenings of the best in independent cinema from here and abroad. Plus some great films you can't see anywhere else! So block it out now! Early bird passes will go on sale in December. And for you filmmakers out there, we will start accepting submissions in August, so get those final edits finished because we want to see your film. We will see you in 2017! Thank you to all who submitted their screenplays to the 2016 Phoenix Film Festival Short Screenplay Competition. We are very excited to announce this year's winners! Two men with differing views of faith and destiny struggle to land a damaged aircraft. Two VIP Passes to the 2017 Phoenix Film Festival (accommodation and air fare not included). An unwanted step-son strives to survive one more evening with his disintegrating family. Nothing is free unless everything is. What starts out as a simple plan to steal a dog and free it from abuse turns into the ultimate escape for a troubled young teen. Saira, a Jethwa/attobite hybrid alien, the first of her kind mysteriously appears in the middle of Hugo Crane’s farm. She is, at first, thought to be a sinister being but it quickly becomes evident that she is here to save us. But from what or whom remains a mystery. A junior high student in suburban Phoenix learns some hard lessons the day John Lennon is murdered. Update NOW to help the Phoenix Film Foundation while you shop for groceries! Hey Members of the Phoenix Film Festival Community! Here's a way to support the Phoenix Film Foundation while you shop at Fry's! 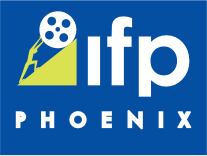 The Phoenix Film Foundation is a part of the Fry's Community Rewards Program. As a part of OUR community, you can help us out just by linking your Fry's V.I.P. card to the Phoenix Film Foundation. It couldn't be easier. If you have already done this, thank you! You will need to re-link your card every year and that time is NOW! Just go to THIS PAGE on the Fry's Food Website. In the upper right corner, either Log in to your Fry's V.I.P. account or create a new one. Once you have an account, click on the "My Account" button. Just below the "Personal Information" section, you will find the "Community Rewards Section" . Search for "PHOENIX FILM FOUNDATION" (or type in our number: 84752) and click enroll. Once registered and signed up, you help the Phoenix Film Foundation every time you use your Fry's card! On behalf of everyone here at the Phoenix Film Foundation, we thank you for your support! This post is for members of the Phoenix Film Festival community only and not meant as a public solicitation for participants. It's time to submit to the 2016 Phoenix Film Festival! Even though memories of the Party Pavilion and sold-out crowds are still fresh in our minds, we can't help but get excited about the 2016 Phoenix Film Festival. For the past 15 years, the Phoenix Film Festival has helped its audiences find their new favorite movies, and who knows, your film could be someone's new favorite movie! The 2016 Phoenix Film Festival is happening from April 7 - April 14, 2016 and we want YOU to be there as a filmmaker. We are NOW open for submissions! So get those finishing touches on your film. Color correct away! Balance that audio! CUT! Because with only 150 films throughout the week, we want to see the best you have to offer. Become A Reel Friend of the 2016 Phoenix Film Festival! When you become a Reel Friend of The Phoenix Film Festival, your annual contribution helps The Phoenix Film Foundation, the largest 501(c)3 non-profit film organization in the state of Arizona. Your annual tax-deductible donation supports the The Phoenix Film Foundation’s educational programs for grade school and high school students in Arizona. All the benefits above PLUS: Invitations for two to special preview screenings throughout the year Early notification of films selected to play at the 2016 Phoenix Film Festival before the list is released to the public Early access to obtain 2016 Phoenix Film Festival screening tickets Competition Film Supporter: You will be recognized as the supporter of a specific competition film. Your name will be in the program and announced before each screening of your specific film! All the benefits above PLUS: On-screen slide recognition in 2016 Festival screening theatres Invitation for two to 2016 Phoenix Film Festival Kick-off Event in February Showcase Film Supporter: You will be recognized as the supporter of a specific showcase film. Your name will be in the program and announced before each screening of your specific film! All the benefits above PLUS: Invitation for two to 2016 VIP Filmmaker Meet & Greet Dinner on the Wednesday night before the Festival Ticket Concierge to personally process your ticket requests and make film recommendations at the Festival Prime Showcase Film Supporter: You will be recognized as the supporter of one of our prime showcase films either on Opening, Closing, Friday, Saturday or Sunday Nights. Your name will be in the program and announced before each screening of your specific film! Your donation to the Phoenix Film Festival is greatly appreciated. To become a Reel Friend of the 2016 Phoenix Film Festival, just sign up below. You will have an option to pay online or you can send payment to the Film Festival office. Your payment may be considered a charitable donation. Please consult with your tax advisor regarding the deductibility of charitable contributions. Support the Phoenix Film Foundation while you shop on Amazon.com! Thanks to a program on Amazon.com, you can support the Phoenix Film Foundation while you shop. By clicking the link below, you will be able to support the Phoenix Film Foundation and our educational programs while you pick out that perfect present because of Amazon's new program, Amazon Smile. Through Amazon Smile, once you have made the Phoenix Film Foundation your charity of choice, Amazon will donate 0.5% of your purchase's price to help us on our mission: to support and develop the artistic appreciation, educational opportunities and growth of independent film within Arizona. We do this through our educational programs that teach the art of independent filmmaking to hundreds of Arizona students every year. Here's the best part, almost everything you buy on Amazon.com is eligible — clothes, books, appliances. Need a Norman Rockwell painting? There's one on Amazon for $4.8 million. You get a present for yourself and you support us as well! As always, we thank you for your support of the Phoenix Film Foundation. So what are you waiting for? Click below and start shopping! But don't forget to always start your amazon.com shopping at smile.amazon.com! Support the PFF by shopping at Safeway, Fresh & Easy or just eating out! PFF is a part of eScrip! If you have kids in elementary school, you know all about eScrip. If not, by just registering , you can help us earn some much needed money for the Phoenix Film Foundation. And the best part is, all you have to do is sign up and a percentage of what you spend is automatically given to the Foundation. Plus, you can benefit up to 3 different organizations, so if you are already enrolled for your school or church, just add us to your existing account! Click on the banner to the right or read on to sign up and support us! There are 3 ways to help us out, and it's all FREE! You can add your Safeway Shopper's card or your Fresh & Easy card. Plus, if you are out of AZ, you can add any number of shopper's cards. Just plug in the numbers and the savings start adding up for us! Contribute up to 5% of your entire bill to The Phoenix Film Foundation when dining at any of the thousands of participating restaurants across the country. Just add the card that you pay with when you go out to eat and the savings will automatically get transferred to us. Not sure if you would be dining at any of the restraunts that qualify? There are about 250 in the Phoenix area alone that do!